Young Ginger is similar to mature ginger in its shape: knobby and multi-fingered, growing up to four inches in length. Its skin is devoid of the rough callousness of the mature ginger root, and is considered to be as edible as its almost fiber-free flesh. 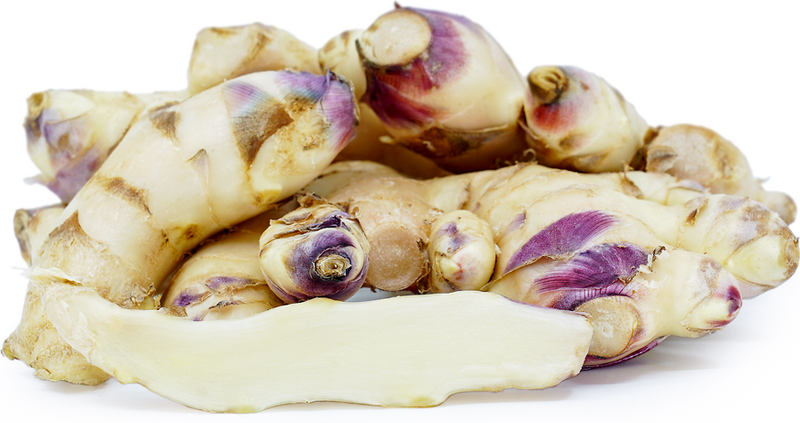 The Young Ginger root's flesh is firm, succulent, fragrant, peppery and sweet. Young Ginger is available in both the spring and early fall. The nutritional content of Young Ginger is less than the mature rhizome that is left in the ground for up to a year longer, allowing the root to better develop its medicinal compounds. Ginger’s primary compounds are zingerone, shogaol, and gingerol, the amounts of which differ depending on geography, time of harvest, and processing. Ginger is one of the world’s oldest known medicinal foods. Ginger is used to ease nausea and indigestion and is also known as an anti-inflammatory. Young Ginger is not as pungent as the mature version, therefore its flavor is not as strong. Make pickles to be served alongside sashimi or as a garnish to soups. It can be candied, or steeped with sugar and water to make a simple syrup that can be used in granitas and sorbets. Mince fine and use as a last minute addition to stir fries, or whisk into salad dressings. Young Ginger can be stored in a paper bag in the refrigerator for up to a week. It can also be sliced thinly and frozen or frozen whole depending on the anticipated preparation. Pickled Ginger root, called "gari" in Japanese, is commonly made from Young Ginger and is ubiquitous with sushi and sashimi. Young Ginger is primarily cultivated in the same tropical regions where the mature rhizome is also grown. Hawaii is a large producer of Young Ginger.  The topical rhizome is showing up at farmer's markets in the Northeastern United States, where it is being grown by farmers using greenhouses and other indoor growing methods. Fresh Young Ginger doesn't travel well and is highly perishable, so it is likely to be seen in areas where it is grown locally. Recipes that include Young Hawaiian Ginger. One is easiest, three is harder. People have shared Young Hawaiian Ginger using the Specialty Produce app for iPhone and Android. 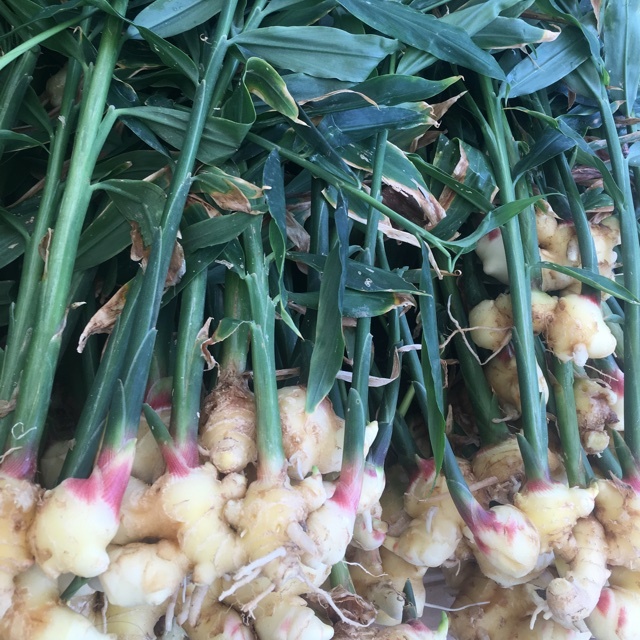 Sharer's comments : Young Hawaiian Ginger spotted at Virginia Park Farmer's Market. Love this stuff. Sharer's comments : Young Hawaiian Ginger spotted at Eastern Market Washington DC. 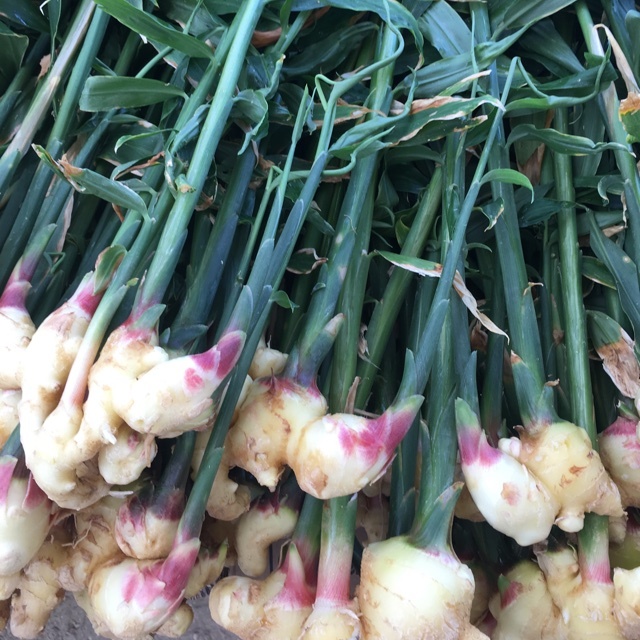 Sharer's comments : Young Hawaiian Ginger spotted at Virginia Park Farmer's Market. Glad to see this back in the market. Mild and fresh addition to dishes.